We’re Cherished Companions, a Castle Rock veterinary clinic that’s committed to making your pet family comfortable. Our veterinarians specialize in the care of cats and dogs. We serve as the family doctor for your pets. As a local, family-run business, our Castle Rock veterinary clinic has helped local pet families stay healthy and feel at ease since 2001. 97.7% of our customers would refer us to family and friends. We have a 4.8-star rating from our customers. We’re honored that pet families from across south Denver come to visit us. We attract families from Parker, Castle Pines, Larkspur, Franktown, Sedalia, Highlands Ranch, Littleton and more. If you’re looking for a Castle Rock vet, we’d love to get to know your pet family! If you think of your favorite moments with your pet family, there’s probably a common theme. Your pets feel relaxed, happy and loved. And that’s how we want your pet family to feel with us. No matter how much you want what’s best for your dog or cat, we know trips to a Castle Rock vet can be stressful for both of you. 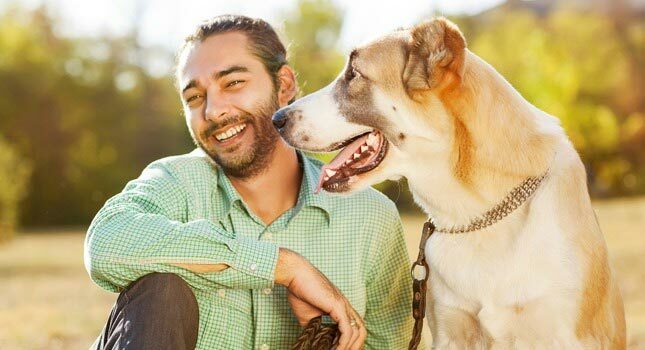 At Cherished Companions, we help you and your pet feel more comfortable, keeping your stress to a minimum. We know you want to be a good pet parent. You want to help your dog or cat live a long and comfortable life! That’s why we offer a variety of Castle Rock vet services to help you take great care of your pet family. Families drive to our Castle Rock veterinary clinic from across metro Denver for Dr. Melanie’s veterinary ultrasound services! We can dispense exactly what your pet needs, from one tablet to a full bottle. With our on-site pet pharmacy, we take care of your pet’s needs quickly, while making great use of your time and budget. We have A+ rated pet foods for quality and nutrition. Our pet foods include both prescription and non-prescription brands. Would you like to keep your pet healthy and happy? Our Castle Rock veterinary clinic welcomes new families. Our veterinary clinic is open six days a week. You can reach us early in the day through early in the evening. 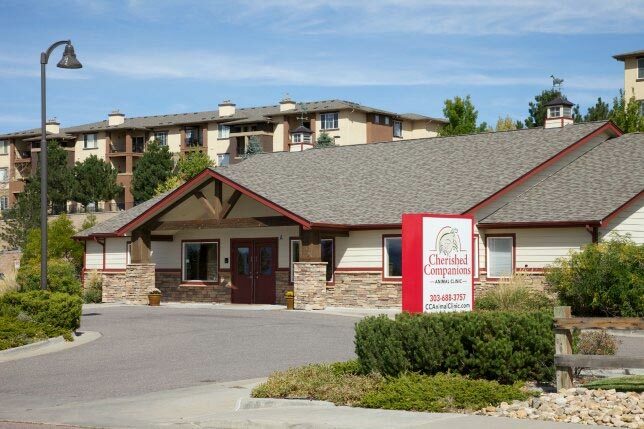 You’ll find our Castle Rock veterinary clinic near I-25 and Founder’s Parkway. Our address is 281 Metzler Drive, Castle Rock, CO 80108. We’re located directly across the street from Good Times Burgers. View map. 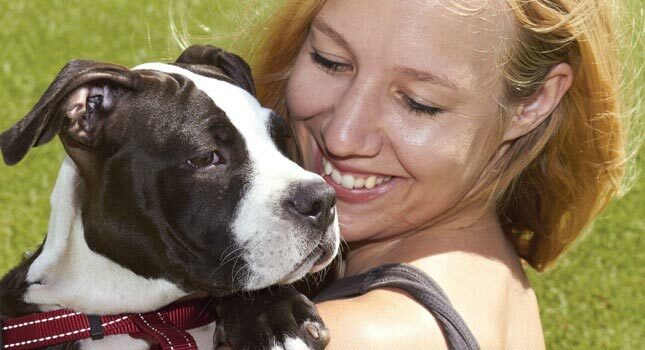 Join our growing community of pet parents on Facebook. And if you want to get free pet tips in your inbox, simply subscribe to our blog. Our veterinarians share new tips and articles every month. Schedule a FREE dental evaluation for your cat or dog with our vets. We’re happy to check your pet's dental health before you schedule any dental services. Save up to $20 on your dog’s heartworm and intestinal parasite medication through this mail-in rebate program. "I've been coming to Cherished Companions for 5 years. I've always found them to be kind, caring and gentle with my animals, as well as very thorough listeners and diagnosticians. I've been to other practices in the area, and I find that this one has a standard of competency I like. I also appreciate seeing the same employees when I come in from visit to visit. It's reassuring to deal with a staff that knows me and my animals, especially since they are getting older.